Whether you are photographing flowers, people or wildlife, sometimes the best shots are the least obvious. Often times we get so focused (excuse the pun) when we find an appealing subject that we forget to look at it from all angles. 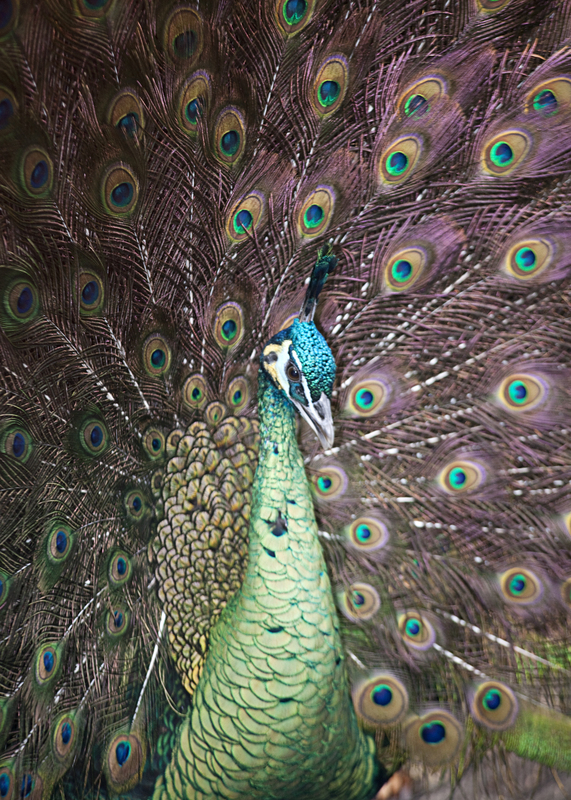 This peacock was so beautiful and cooperative that I just kept on shooting. 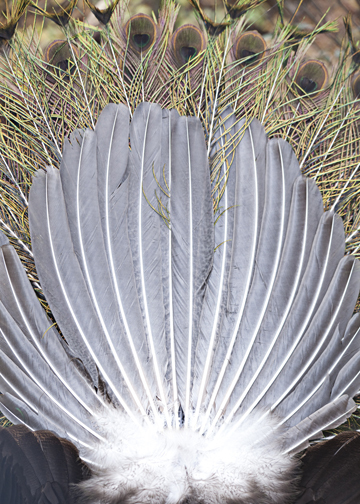 But when another peacock came close and turned her (his) tail feathers to me, I saw a wonderful pattern in the feathers. I try to remind myself to shoot each subject from as many angles as possible to get some unique shots.